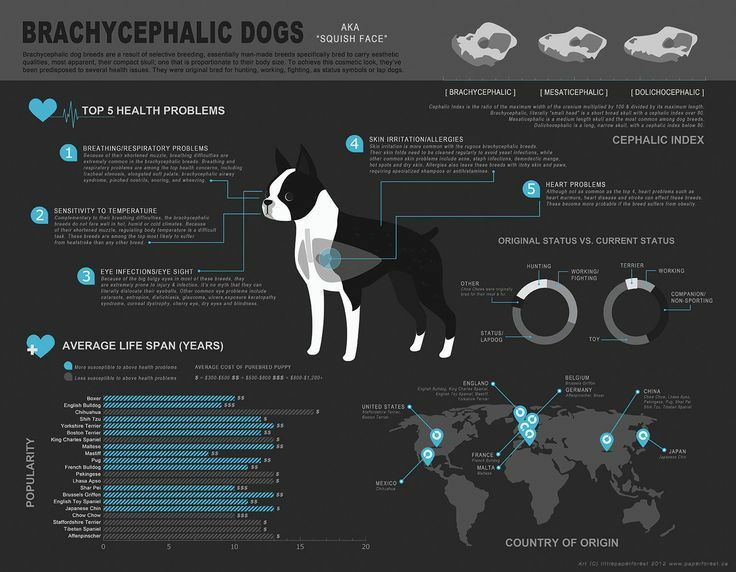 Do you own a Bulldog, Pug, Pekingese or Boston Terrier? 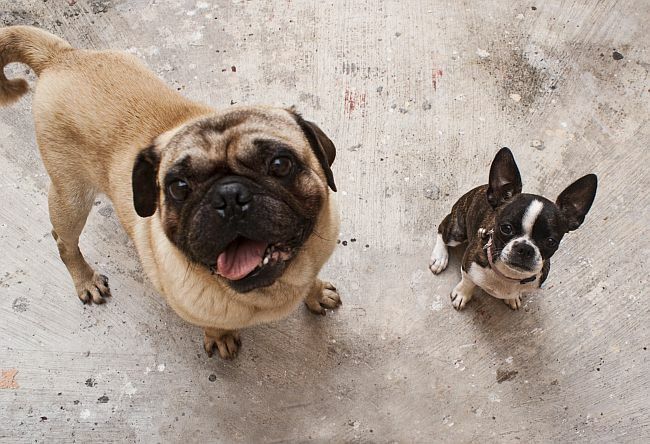 Are you the proud owner of a Bulldog, Pug, Pekingese or Boston Terrier? If so, Brachycephalic Respiratory Syndrome can become a real threat to your Pet, unless otherwise treated. 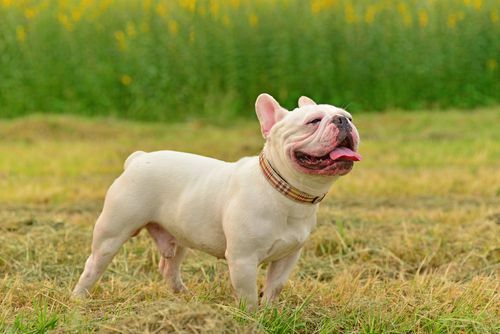 Also known as the 'Squish Face' breed (dogs who have compressed/flat facial structure), these types of dogs are more subject to Brachycephalic Respiratory Syndrome than others who have extended facial bones and noses. Breathing Heavy: As this condition is present at birth, the major signs progress from clapping/flapping sound during heavy/noisy breathing. 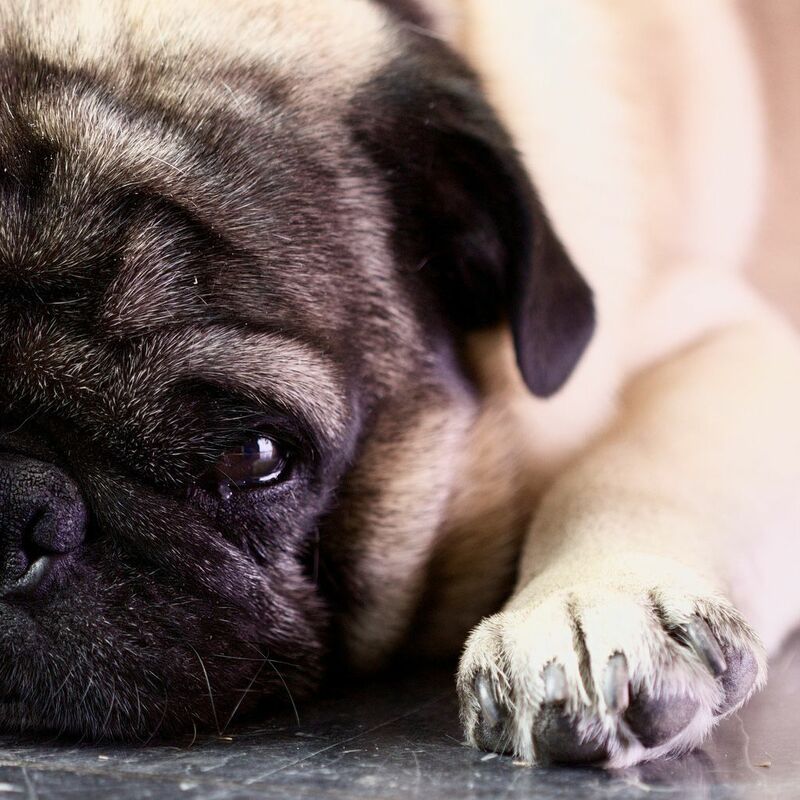 Stress, Heat & Exercise: If your Pet is overheating and stressing over a small amount of exercising, it could be that your Pet is not breathing properly. Gagging, or Retching: When heavy breathing leads to gagging and retching with an upchuck of bile, it's well due time to see your Veterinarian. Use a chest harness as opposed to neck collar to avoid anymore restrictions to the airway. Mild/Slow exercise indoors in cool crisp ventilated environment or outdoors in the evenings to diminish heat exposure. Elevate feeding and water bowls to a level where your Pet won't have to crouch their neck down to eat/drink. The more common ailment is an elongated soft palate, a portion of skin at the roof of the mouth that hangs just above the windpipe acting as a curtain. Unfortunately, due to the length of the excess skin, it can occasionally get trapped in or block the windpipe causing little to no air way in or out which can be fatal. In other cases or secondary to the elongated soft palate, is another condition relating to the nostrils title Stenotic Nares. It presents itself with what appears to be pinched/narrowed nostrils that decrease respiration through the nasal passages and makes a mild whistling sound which can complicate sneezing and facilitate and complicate upper airway infection and congestion. Surgical correction after a doctor examination may be performed permitting there aren't any preexisting conditions that would complicate the correction and or the post-operative healing. Cosmetic surgical correction is necessary to allow sufficient airflow through the nostrils. Be the responsible Parent to your Pet and call us with any questions or concerns. Our staff is here to assist you, please call 1-800-FOR-A-VET!